The weather has gone to hell in so many parts of the world, but in DC there is a hint of fall in the air -- very unusual this early. So I was inspired to make a card with autumn colored leaves, but snuck in the outline of a butterfly because it is still summer. 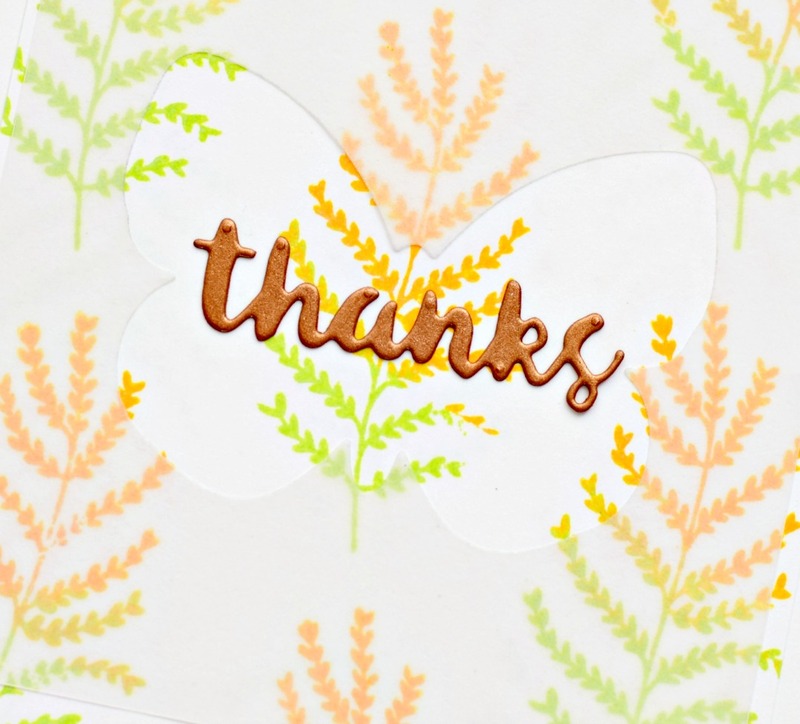 Leaf from Fauna & Flora, Butterfly die from The Stamp Market and the thanks die from Poppystamps (cut with copper cardstock). Adhered vellum and the thanks with Elmer's spray adhesive. Distress Oxide inks. MOOD WHEN DONE = Just fine! and your card is more than "just fine" - wonderful idea with the vellum butterfly over those pretty soft autumn leaves! There's a hint of fall here, too. It came so quickly, sneaking in with the spiders. Why are there always so many spiders in the fall? Anyway, love how you did the color on these leaves and left the butterfly cut out for the sentiment. We are still seeing butterflies here along with the spiders. 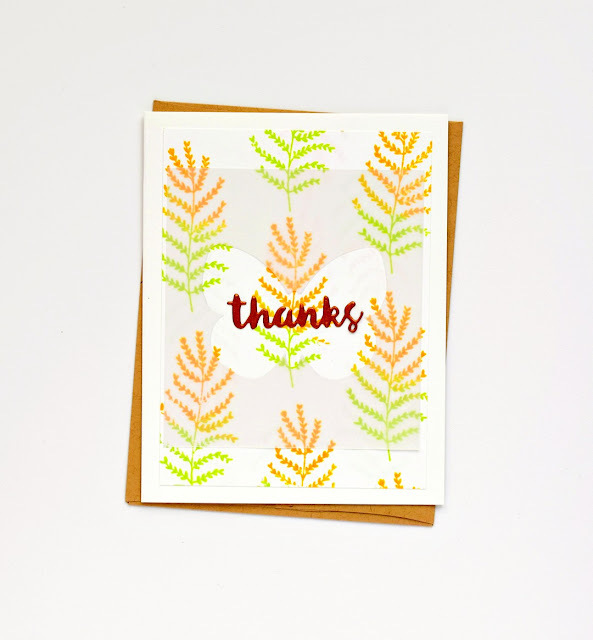 Wonderful fall card...love the vellum panel. Love how you stamped and paired up the images with vellum! Delightful, Joan!